This promotion is a great way to allow customers to make a purchase of your product or service with a mobile devise from your direct mail and save on postage. 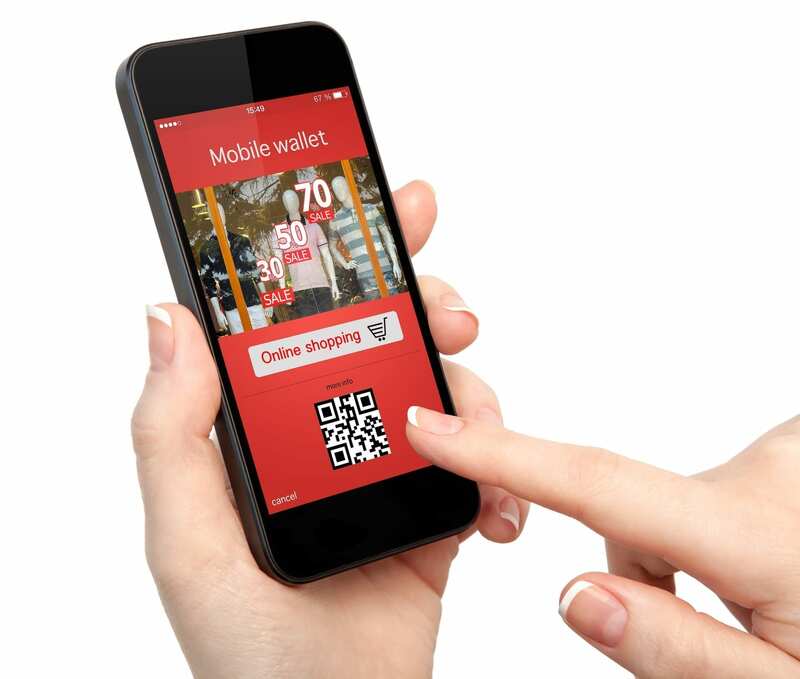 The mobile shopping promotion encourages mailers to integrate mobile technology with direct mail to create an easy way for consumers to do their shopping. The promotion will run from August 1 to December 31, 2017. You will receive an upfront postage savings of 2%. This is for standard and nonprofit letters and flats only. All qualifying mail must contain a mobile barcode or other equivalent print/mobile technology that when scanned by a mobile device leads to a complete mobile optimized website. Qualifying print/mobile technologies include one of the following: open-sourced barcodes (such as a QR Code or Datamatrix code), a proprietary barcode or tag (such as SnapTags or MS Tags), an image embedded with a digital watermark, or intelligent print image recognition (including an augmented reality experience) that takes you to a mobile shopping site. The mobile barcode or other print/mobile technology can be placed on the inside or outside of the mail piece. The barcode cannot be placed on a detached address label (DAL) or card that is not attached to or enclosed within the mail piece (e.g., unattached blow-in card). The mobile-print technology cannot be placed in the indicia zone or the barcode clear zone on the outside of the mail piece. “Social Buy Now” (must also include directional copy adjacent to the mobile barcode). The destination pages must contain information relevant to the content of the marketing message included in the mail piece. The destination web pages must reside on a website platform that contains or is deeply integrated with a checkout functionality that allows the customer to complete the purchase of the product referenced on the mail piece. The mail piece must lead to a complete mobile optimized experience regardless of the platform being used. There must be a guest check out option available if the consumer does not have an account. However, for companies that require accounts for customized or personalized product purchases a guest checkout is not required. Companies expressing the need to do this must demonstrate how the purchase is a customized or personalized product. The user selection shall not include any type of auto enrollment that is pre-checked. The customers must have the option/choice whether or not to enroll/sign up. Participants may also use any mobile barcode format to link the recipient to a social media platform with the “Buy Now” button capability for a specific product(s) to make a purchase. The social media platform can include Pinterest, Instagram, YouTube, Facebook, Twitter, Tumblr, etc. If you are interested in using a social media platform other than these or you are uncertain if the design or technology meets the qualifications of the promotion and would like to have it reviewed, please contact the program office at mailingpromotions@usps.gov. Participants and/or Mail Service Providers (MSPs) must register on the Business Customer Gateway (BCG) via the Incentive Program Service (gateway.usps.com). Promotion participants must complete their registration (including agreeing to the promotion terms) at least 2 hours prior to presenting the first qualifying mailing and specify which permits and CRIDs will be participating in the promotion. It is recommended that mailers register several days in advance of the first qualifying mailing. As part of the terms of participation, all participants must complete a survey about their participation in the promotion at the end of the promotion period. For issues and concerns regarding enrollment or technical issues please contact PostalOne! At 800-522-9085 or postalone@email.usps.gov. The discount must be claimed at the time of mailing and cannot be rebated at a later date. Mailings must be submitted electronically via Mail.dat® and Mail.XML™ or Postal Wizard. Mailings that are prepared and entered by an entity other than the mail owner must indicate the owner’s identity in the electronic documentation (“eDoc”). Participating mailers will be required to affirmatively claim this promotion in the Incentive Claimed section on electronic postage statement submissions certifying each mail piece meets all eligibility requirements. Postage must be paid using a Permit Imprint or Precanceled Stamp permit. Some Meter Permit mailings may qualify. Meter mailers who wish to claim the incentive must affix the appropriate reduced promotion amounts. Mailers must select the appropriate Postage Affixed Method option. Any net postage due for the mailing must be paid from an advanced deposit (permit) account. The mailer must provide a hard copy, unaddressed sample of the mail piece showing the placement of the mobile barcode, image, or tag and directional copy to the acceptance clerk. If a mailing agent submits promotional mailings from multiple mailers, a hard copy sample of each mailer’s mail piece must be presented. All mailings are subject to standard acceptance and verification procedures and may be inspected for use of the mobile barcodes, images or tags, etc. and directional copy. The Program Office will conduct a sampling of mail pieces collected at Business Mail Entry Units to verify that submissions meet program requirements. The Postal Service reserves the right to pursue a revenue deficiency for mailings that do not meet all program requirements, to unenroll the mailer from the program or restrict participation in future promotions. Additionally, all mailers who receive the discount must retain an electronic or hard copy sample of the mail piece until March 31, 2017, and if requested by the Postal Service, must forward the sample to the Promotion Program Office. More than ever before our customers and prospects are making mobile shopping purchases, we need to make sure we provide easy ways for them to purchase from the direct mail we send out. This mobile shopping promotion will allow you to do that and save on postage at the same time. It is a win/win! Need all the information about the promotion? Visit https://ribbs.usps.gov/mailingpromotions/documents/tech_guides/2017MobileShopping.pdf to get all the details. Need help? Call or email us in San Diego at 619-448-6111 or info@eyecomm.org. We are glad to help!